This week I visited the chiropractor for the first time, ever! I’m usually pretty good about stretching and popping my own body as well as doing self massage when I really feel beat up by the homestead. This time was different, this was a serious case of a crippling back ache that I just could not reach or pacify for the life of me. This life style can really take a toll on your body; heavy lifting, bending and straining is just an every hour occurrence. Who knows what really set my back into over drive, but I had given up on enduring the pain any longer. After the doctor introduced himself I began to notice his tattoo while he asked me the typical HIPPA questions all doctors ask; I scanned the room and his forearm breifly. The tattoo was of a wildfire scene and it really struck a cord. 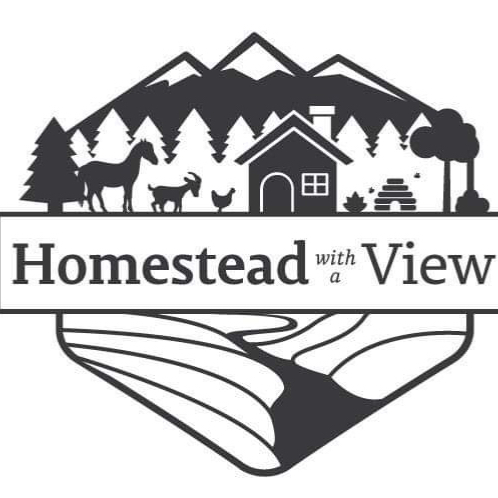 This last summer when the homestead was under serious distress of a wild fire I really rooted myself and the vision of the homestead in the salvation from that fire. My property, buildings and animals were saved for a specific reason. I don’t exactly know what yet but I’m so excited to be on the journey. I began to word vomit to the doctor all things Homestead with a View. That poor man must think I’m batty. At one point I even thought I heard him refer to me as a tough cow and it didn’t even phase me (later I came to realize I Probably misheard him saying tough GAL- that’s how embedded into this homestead life I must be). This visit was close to an hour of bend this, twist here and lift that with a loud snap ripple and pop every few minutes. I was thoroughly impressed, no one has ever popped me as well as I can pop myself; I’m fairly certain I experienced pops I didn’t even know I had in me. The whole experience was similar to that of being front row at a live orchestra concert. It moved me deeply and my legs once again became the same length, who knew my hip was so misplaced I had shorted by almost half an inch on one side. Now, I firmly believe in wholistic approaches to health but I’m always a bit sceptical at first. Three hours after the experience and several visits to the hydration station at work I was starting to feel like my body was confused. To many parts of my body were working to retune and balance their tempos. It was like being back at the orchestra concert but the professionals were replaced by third graders who had lost their sheet music. My body; my joints and muscles specifically were beginning to rebel. What in all hell…. I didn’t feel like a beatrug after a long Winter. I felt like the beat rugs Spring sister who had been washed hard from all the mud and left to hang dry on a warm, yet damp and overcast late Spring day. How unbelievably disappointing and ragged. My body had been left for so long in a decrepit state that now it had no idea how to right itself. I lay in bed tossing and turning wondering if I should stretch or if it would be better to lay on my left side and pray my endocrine system rid itself of all the lactic acid that had previously been cementing my body in its disfigured position. As I write this I am still not feeling myself, though I’m not sure I know what feeling myself really feels like anymore. Maybe it’s the cold, or possibly the seasonal depression that’s got me so completely off my meridian. Either way I know two things: I’m ready for Winter to end and seed catalogs are arriving and bringing day dreams of Spring, can I get a Wwohoo!? Have you ever seen a chiropractor? What was your experience? I’m still trying to figure out if two hours of relief and some amazing pops was all worth the copay, HA! Stay tuned this weekend for my post on two bread recipes I did this week as well as how to start your own easy kombucha ( because seriously everyone is doing it and why haven’t you?!!). Thank you 🥰 so far this morning I’m feeling like a whole new me. Hoping to not make those visits routine. Wow I felt unraveled. Story, I so enjoy reading your blogs. You writings are so real I can see and be there with each read. Thank you Judy! That is a true complete. ❤️I’m glad you enjoyed it!